Some time ago, we shared the news of an impending change in standards for bats used in youth baseball. The change, which went into effect January 1, 2018, was adopted by AABC, Babe Ruth/Cal Ripken, Dixie, Little League, and PONY. USSSA did not, but will permit bats with the new USABat stamp as long as the organization’s size/weight/material specifications are met. USA Baseball made minor modifications to the BBCOR standard currently followed by the NCAA and NFHS. The modifications account for differences in bat lengths, pitching speeds and balls in the younger age groups. The new standards require leagues to use bats produced to perform at the wood-like level for youth baseball among all lengths and weights. The rule requires all bats used in games and practices to have the USA Baseball stamp. Several manufacturers will make the new bats available at prices ranging from $20 to more than $350. That is what bats typically sell for, but bats currently in use must be replaced. That’s a budget stretcher for teams/leagues that provide bats for players. Many families cannot afford to buy bats and other equipment for their children. But the truth is that everyone has had at least two years to prepare for this change. Many think the new bat rule was put in place as a step forward in safety, particularly for that of infielders and pitchers. But USA Baseball’s website states it wants players to get used to bats that perform like wooden bats to ensure “the long-term integrity” of the game. However, the issue of bat safety isn’t new. Baseball is the sport with the highest fatality rate among 5 to 14-year-olds in the last decade. The Consumer Product Safety Commission reported three or four deaths each year since 2009. In 2015, the year the new standard was announced, there was a notable spike in baseball injuries in all age categories. The primary difference in the new USA Baseball bats is the elimination of the “drop weight” factor. Drop weight is the difference between length (in inches) and weight (in ounces). Since bats can now be made of the lightest weight materials there is no need to limit the drop-weight. 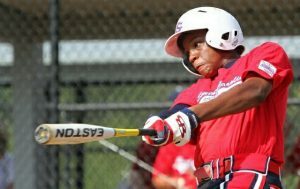 Some in youth baseball expect the USA Baseball bats to reduce the long ball. Kids may be disappointed by hitting fewer home runs over the fence. But the new standard allows for a slightly wider barrel (up to 2 5/8 inch diameter rather than 2 1/4), which should increase contact with the ball. And what kid doesn’t want a hit? Source: Steve Craig. “Youth baseball finds safety in new bats, but at a price.” www.pressherald.com. 11 Feb 2018.